The Best UK Theatre Blogs from thousands of UK Theatre blogs on the web using search and social metrics. Subscribe to these websites because they are actively working to educate, inspire, and empower their readers with frequent updates and high-quality information. UK Theatre newsletter is a comprehensive summary of the day's most important blog posts and news articles from the best UK Theatre websites on the web, and delivered to your email inbox each morning. To subscribe, simply provide us with your email address. London, UK About Blog The ultimate website for anything theatre related from across the UK. Whether it be West End, regional, touring, fringe, concerts or amateur we'll be covering it. Our aim to promote all aspects of British theatre, to keep the public and the industry informed and to help sell a lot of tickets. Facebook fans 9,056. Twitter followers 8,991. London, England About Blog In this site you will find news and reviews about the latest and trendiest shows in the West End. This is your front-row VIP pass to get exclusive insights to both help you choose which productions to see next and to discuss your opinions on the plays and musicals you have already seen. Facebook fans 4. Twitter followers 43,903. London About Blog There Ought to be Clowns is a brilliant place to find reviews of plays, musical theatre, TV and film, describing itself as a “theatrical diary” which actually turns out to be a very accurate description. There Ought to be Clowns is a very carefully thought out theatrical journal, with top notch reviews and a deeper look into both TV and film as well as on stage productions. Facebook fans 23. Twitter followers 2,580. London About Blog Find listings and features on London's alternative scenes, including Art, Club, Dance, Film, Music, Theatre, Think & Wild Cards. Here you'll find out about the latest shows in town and try something a little bit different. Facebook fans 3,361. Twitter followers 8,316. London About Blog An honest & unpretentious guide to the London theatre scene. Reviews, competitions, features, opinions & podcasts that aim to make theatre appealing to all! Facebook fans 906. Twitter followers 8,096. London About Blog West End Wilma prides herself on being an all-round theatre expert – from in depth and honest reviews to booking tickets online, where to sit and when to go. The blog features articles on interesting topics such as theatre etiquette and advice on booking tickets in various theatres, restricted view seats and what to avoid when trying to pick up budget tickets. Facebook fans n/a. Twitter followers 22,790. London About Blog MyTheatreMates.com pulls together the best theatre content from independent theatre journalists and bloggers, starting with co-founders Mark Shenton and Terri Paddock. It also runs the online Also Recognised Awards, celebrating disciplines and talent overlooked by other awards bodies. Follow this blog for Theatre comment, reviews and recommendations and more. Facebook fans 600. Twitter followers 10,825. Facebook fans n/a. Twitter followers 6,117. UK. About Blog Stage Review reports what's happening in regional and London theatre. News, previews, features, interviews and those all-important reviews of professional productions. Facebook fans 643. Twitter followers 2,912. About Blog “It seemed that honest vivid reviewing was a kind of duty: not merely a service to readers and potential ticket-buyers but to the art of theatre itself.” Written by former Chief Theatre Critic at The Times, Libby Purves, Theatre Cat is a wonderfully tight reviews blog. Facebook fans n/a. Twitter followers 11,154. London About Blog Love going to the theatre, here you'll find interviews, reviews, thoughts and experiences from London's theatre scene including big West End plays right down to fringe and pub performances. United Kingdom About Blog Sincerely, Amy is my arts and culture blog that showcases and champions the best in theatre and cultural travel with a strong focus on the arts. 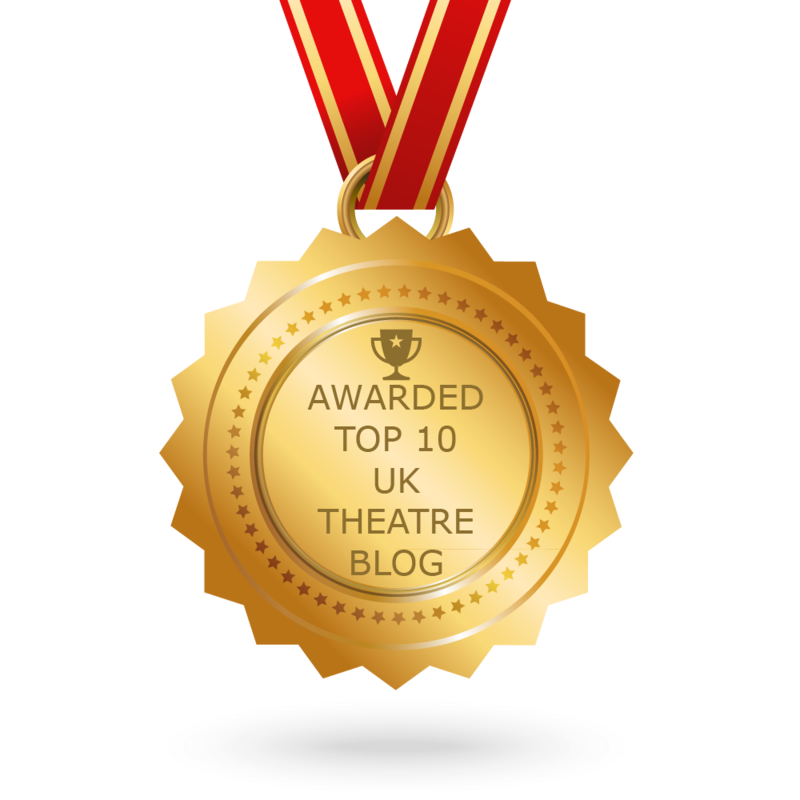 CONGRATULATIONS to every blogger that has made this Top UK Theatre Blogs list! This is the most comprehensive list of best UK Theatre blogs on the internet and I’m honoured to have you as part of this! I personally give you a high-five and want to thank you for your contribution to this world.